These two gentlemen might not be the chic'est of chic but happiness suits everyone - a fact our readers have pointed out before. We believe that this is what cycling is all about, basically: making life beautiful. 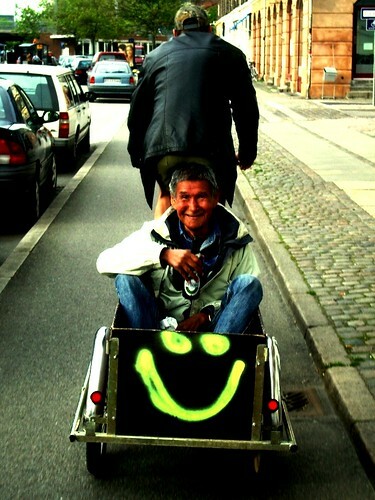 Be it with fluorescent spray paint, beer or what else you have in stock - it is the smile in the end that counts.